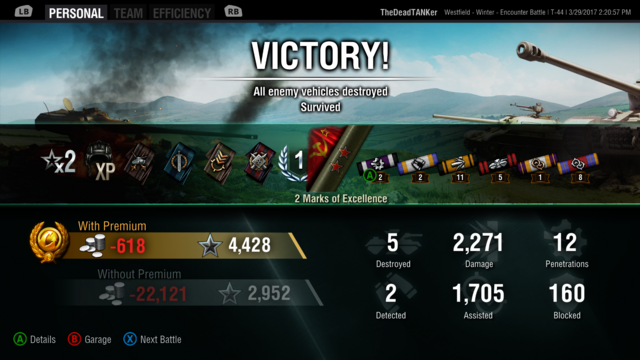 I haven't posted any in a while, here's one from this morning with the V/IV, the tank that supposedly stinks when facing tier VII tanks. 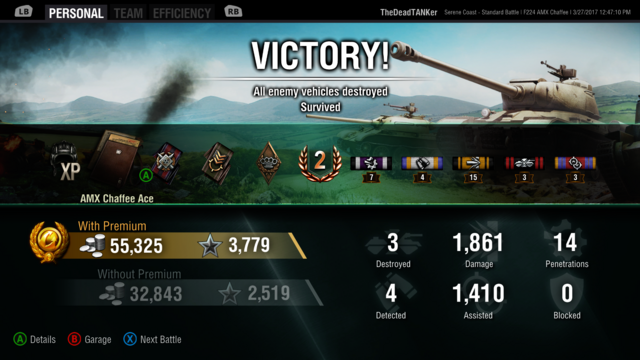 ^^please note the Lehvaslaiho's, I've earned 14 with this tank so far. Yea, it's a stinker bottom tier. What a trip with my Dicker. 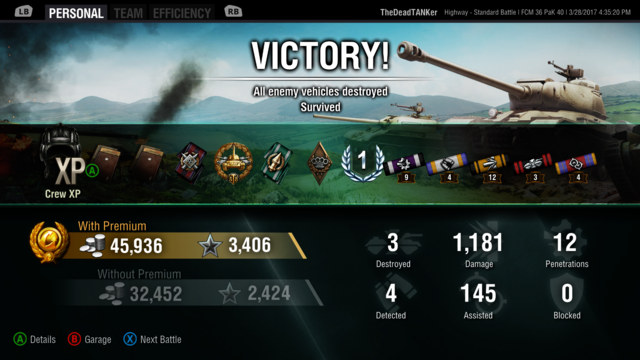 I bought Max two days ago and I already have 3 Marks of Excellence and a medal for patrol duty on top in 111 games. 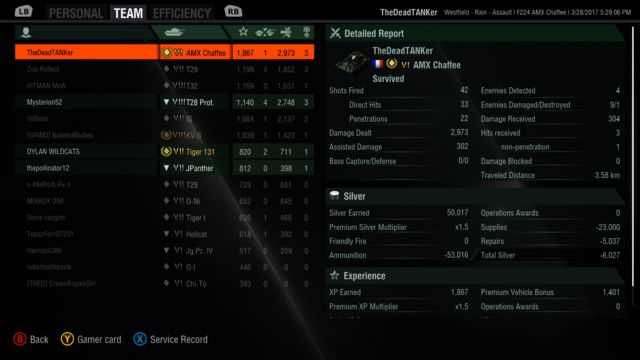 just bought the AMX Chaffee today and its a great light tank. 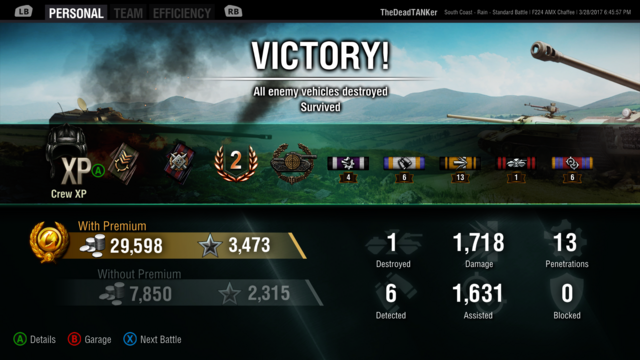 I gave that tank some thought, but think I am going to use my "free" gold to free up some XP and skip to the final gun on the ST1 this week. 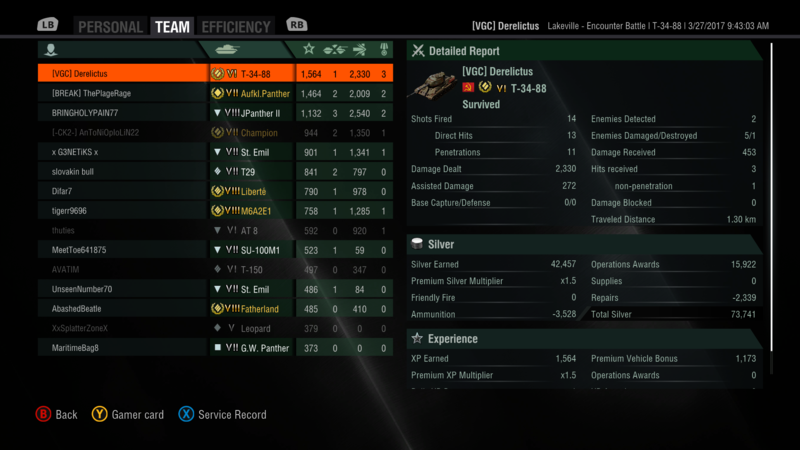 I play the tech tree Chaffee, American Bulldog and, on occasion, the RU251. 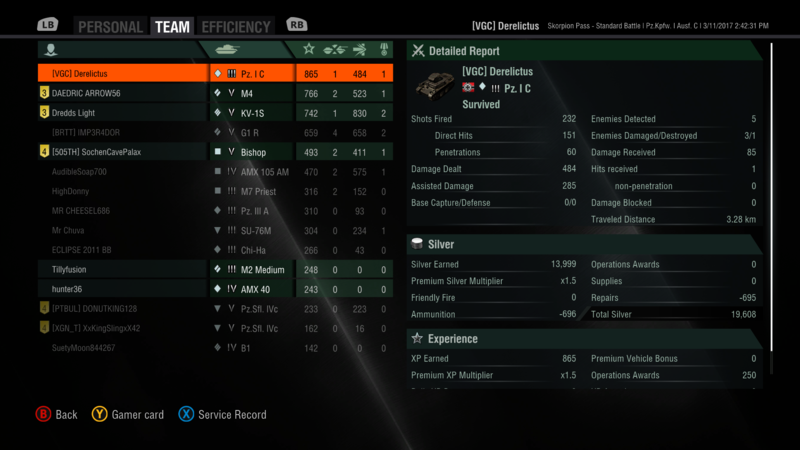 So I have the lights covered, looking for a new Tier IX heavy to add to the garage. 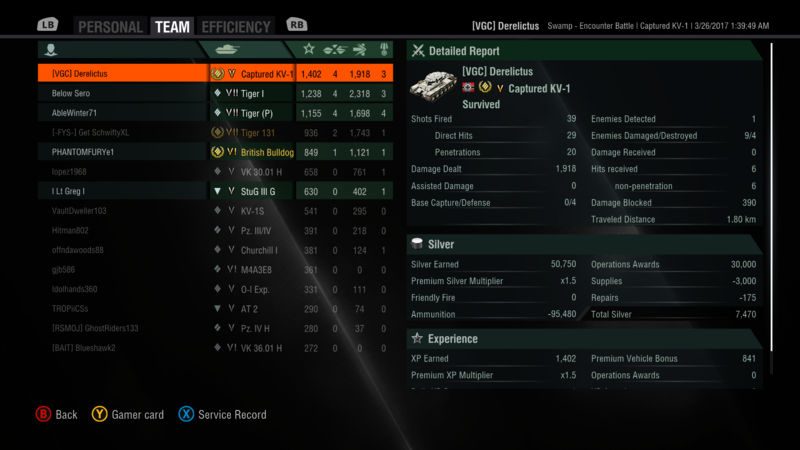 ​I cannot say that I blame you, it is the only time I did that with real money though I already had most of the XP banked. 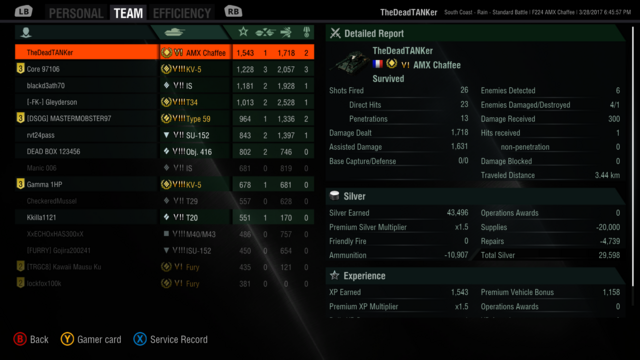 However the AMX Chaffee is a really fun tank. 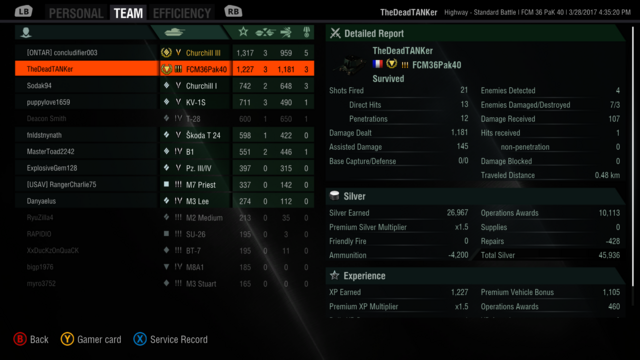 Some Pz. I C shenanigans! 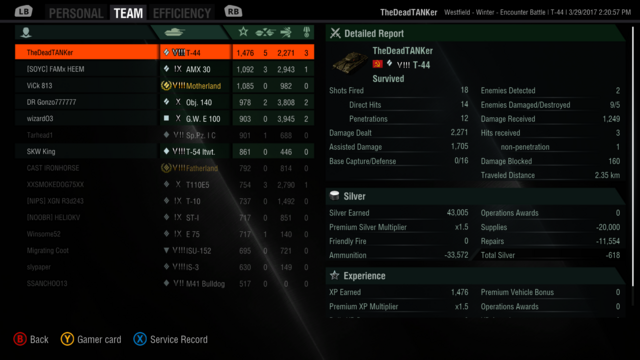 A bit of Captured KV-1 fun! 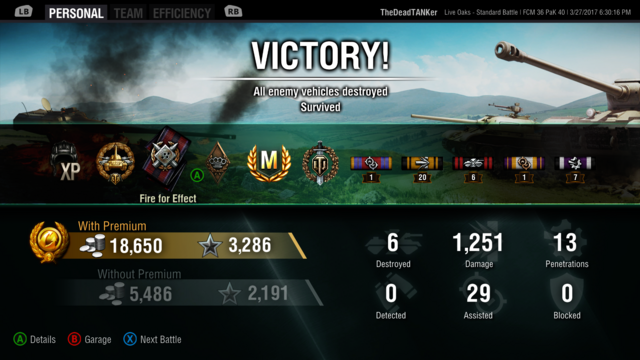 And, how to drag the green beans, kicking and screaming to a win with the Awful Panther! Good stuff^^^ folks keep posting bottom tier lights finishing at the top. 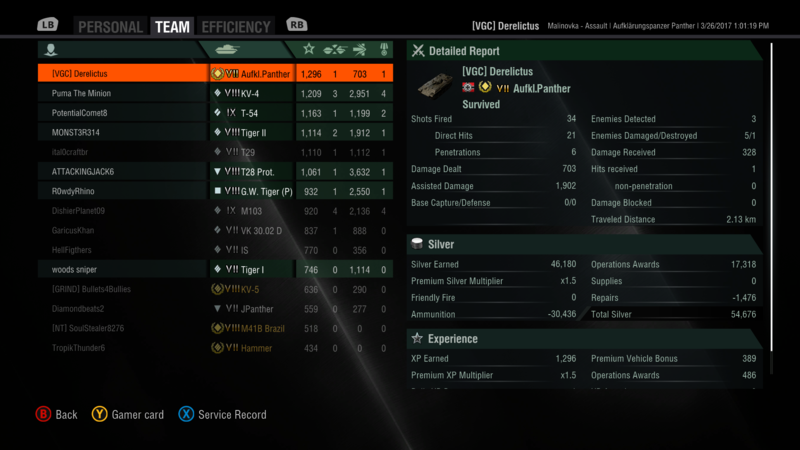 Wonder if the "light bulb" is going off for some who still don't think a bottom tier tank (even a light tank) can perform-finish at the top of the list. 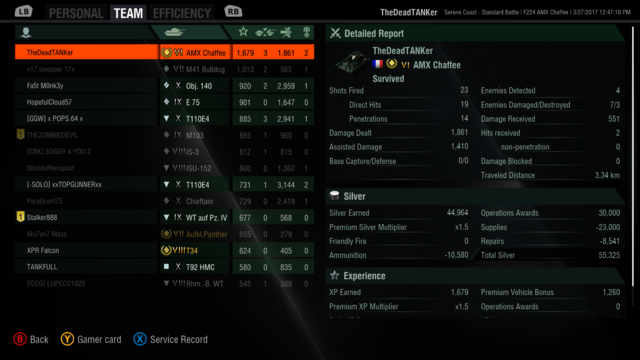 High Caliber with a tier 5 in a tier 7 game. 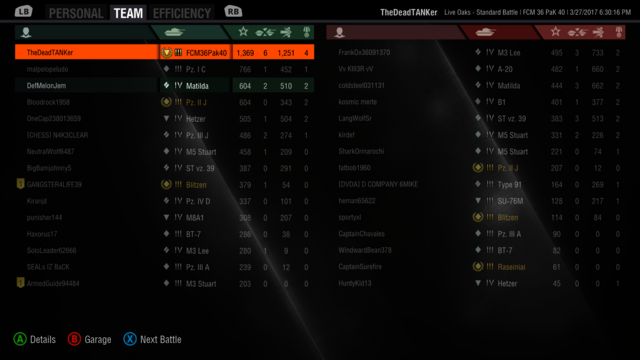 The whole team was doing good and the mobility of the V/IV kept me at the front of the pack dishing out damage. I even did a little ramming on a Tiger P! Edited by Sly Indasky, 03 April 2017 - 01:46 PM.